WeMacro, the company that produces the Wemacro focus stacking rail, has broadened its focus stacking portfolio offerings and has come out with some unique extreme macro products this year that have caught my eye, including a vertical stand for stacking and a microscope stepper. To my knowledge it is the only company that is offering accessories such as these at a price that is doable for the amateur. Some subjects require a horizontal setup but some do better with a vertical setup. Butterfly scales, sand and seeds are common examples of these, but there are others. This vertical stand for stacking is a phenomenal value for money product, as it prevents the need to construct your own stand out of DIY parts which, whilst fun to do, can be an expensive and frustrating exercise. 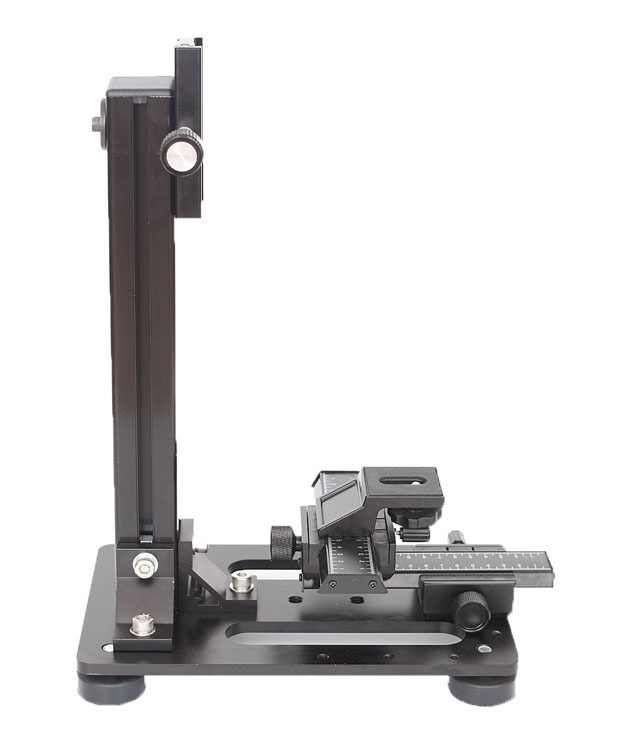 The WeMacro Vertical stand comes with all the parts illustrated, including the two rough positioning stages and the quick release clamp on the pillar. The pillar is 42 cm high which is fine for mounting the wemacro rail, and there are holes on the bottom so that magic arms can be attached. I have 4 magic on mine and use this device with continuous lighting. WeMacro has done well to listen to what stackers want and there are 4 large rubber footpads to reduce vibration. At this price ($99, 2017) I really cannot recommend this simple but essential piece of apparatus enough as it’s not only functionally excellent but also beautifully made. 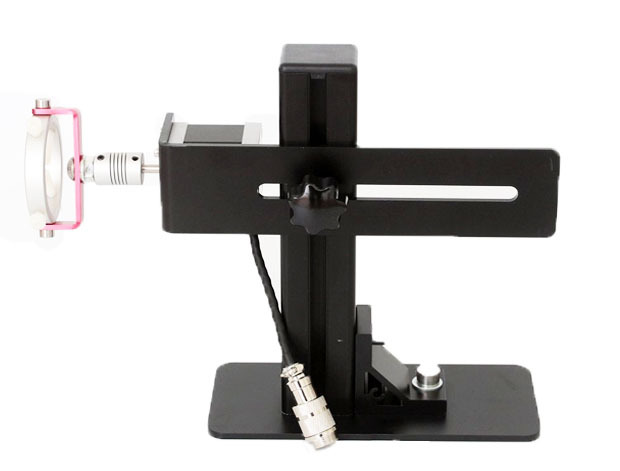 The WeMacro MicroMate is a piece of microscopy stacking apparatus specifically designed for high magnification stacking with a microscope, and attaches to the fine focus knob of the microscope. It is as far as I know the only such unit on the market, giving a unique premade solution to a problem that always required attaching a stepper motor setup yourself previously. a piece of microscopy stacking apparatus specifically designed for high magnification stacking with a microscope The unit is very well built and works as advertised, using a 400 step 0.9 degree stepper. The height of motor can be adjusted from 2cm – 18cm so it can be married up to Nikon, Olympus etc. With the step length set as 1 micron, it will take 2132 steps to do a full circle, which is more than sufficient for high magnification work. The metal footer plate can be drilled through to create a solid bond with the base plate using nuts and bolts, or of course it can be epoxied on using industrial adhesive. The attachment with the microscope can be size adjusted from 5cm diameter down.